Who wants to live forever? According to Stephen Cave, we all do – every single one of us. And the evidence is all around. Eluding the Grim Reaper is humanity’s oldest and most pervasive wish. It is embedded in our very nature and provides the real driving force behind every aspect of human civilisation: science, agriculture, architecture, religion, the arts, fame and family. From freeing your soul to freezing your brain, all these attempts to defy death fall into four simple categories – the four paths to immortality. Ranging across continents and cultures, from ancient Egypt to cutting-edge laboratories, Immortality raises the curtain on what compels us humans to keep on going. The four paths are ancient, but science is now showing us – for the first time in human history – whether any of them can really lead to infinity. Cave investigates what it would mean for our lives if they can – but also if they can’t. If the paths up the Mount of the Immortals lead nowhere – if there is no getting to the summit – is there still reason to live? And can civilisation survive? 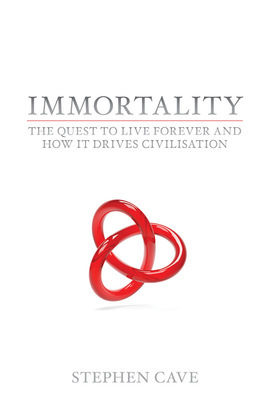 Stephen Cave’s very readable 2012 book Immortality: The Quest to Live Forever and How It Drives Civilization is a fascinating attempt to grapple with this human condition.